As a comprehensive health science university, the mission of The University of Texas Health Science Center at Houston is to educate health science professionals, discover and translate advances in the biomedical and social sciences, and model the best practices in clinical care and public health. 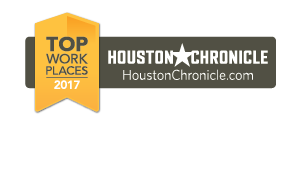 UTHealth promotes a collaborative working environment that encourages creativity, innovation, and excellence in the workplace. Additionally, we strive to create a culture in which faculty, staff and students are able to correlate their work contributions with the University mission; all while being recognized for their efforts. Students, faculty and staff from UT Physicians and all six UTHealth schools participate in local events such as the Houston Pride Parade, American Heart Association Heart Walk, and Walk to End Alzheimer’s; are involved in the Texas Medical Center’s annual career expo for veterans; and assist with disaster relief in the wake of hurricanes and other natural disasters. The UTHealth School of Dentistry and the Cizik School of Nursing partner with community organizations to provide dental and medical services to veterans in their annual ‘Give Vets a Smile’ campaign. In addition, UTHealth School of Dentistry teams with local school organizations to provide dental services to elementary students. The UTHealth Stomp Out Stroke Festival provides free screenings to the community for stroke risks, glucose, cholesterol, bone density, memory, carotid doppler, BMI, body fat percentage and obstructive sleep apnea. Professionals also teach individuals about stroke, concussions, healthy brain aging, brain imaging, migraines and more. STAR Awards: Each year UTHealth celebrates employee longevity and leadership to highlight the University’s greatest asset – its people - and honors their commitment and dedication to the University. UT System Board of Regents Awards:	Faculty and Employees are recognized by the Board of Regents for a variety of accomplishments including excellence in teaching, impacts the individuals have made in their jobs and the institution, and for being an outstanding clinical faculty member. UTHealth is an organization that is dedicated to providing a high level of job security for its employees; evident by the average tenure of employment being seven and a half years. UTHealth provides favorable programs that encourage advancement from within. The Learning and Development department offers a wide range of professional and career development courses and workshops designed to help faculty and staff grow in their current positions while preparing for the future. UTHealth offers several benefits to assist individuals with balance such as a robust Employee Assistance Program (EAP) and other partnership resources. EAP aids UTHealth employees with a wide range of services related to physical and mental health, and financial and legal solutions. Care.com provides support with child and elder care. The UTHealth Recreation Center is open to all faculty, staff, students and their families. The management team across UTHealth takes the time to evaluate departmental and University needs through collaboration with staff and other leaders to ensure the right individuals are being hired into the right jobs based on knowledge, skills, needs and abilities. The results of the collaboration and hiring the right talent results in an environment of trust across the organization. Employees get to work with those they respect and are inspired by, and who serve as mentors and partners. In order to ensure resources across the organization are being used in a way that supports the overall mission of UTHealth, leaders, faculty and staff form various councils that are representative of the numerous constituencies within UTHealth. These interdisciplinary councils devote themselves to the overall governance of the university in accordance with UT System rules and policies. To sustain the values and fulfill the university’s mission, UTHealth has established Leadership Institutes to develop and invest in leadership competency for all faculty and staff. In addition, UTHealth gives employees the opportunity to participate in programs that will develop them into the next generation of leaders by advancing their management and supervisory skills; by allowing them to gain a full understanding of their strengths and development needs; and by learning how to effectively influence and improve the performance of others.